I consider myself to be a golfer. Albeit not a good golfer, but nonetheless, I am someone who can pick up a stick and hit ‘em straight. 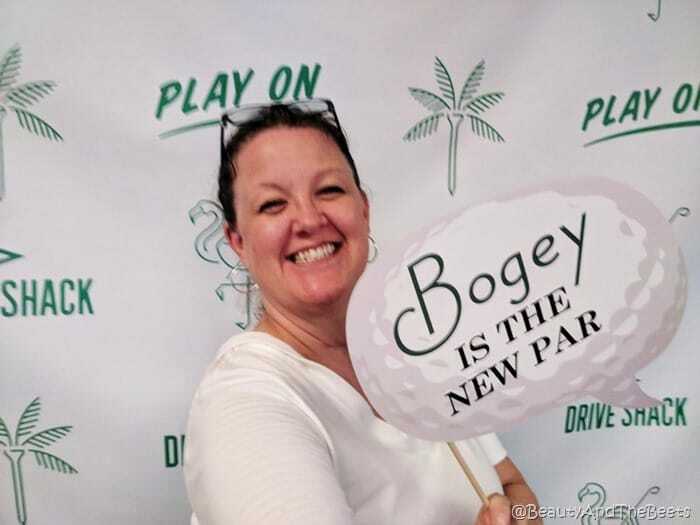 Unless I am purposely trying to hit them straight, then my ball ends up in the next town over lodged in someone’s windshield. 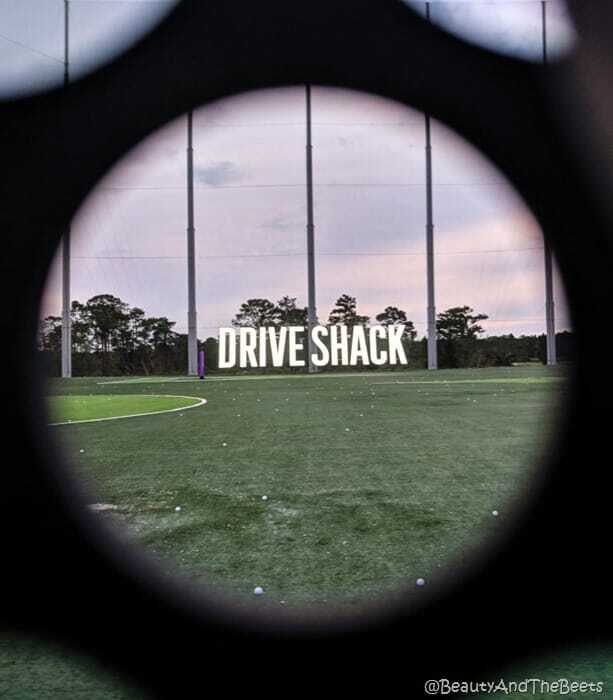 Lucky for me Drive Shack Orlando has a really high net around their driving range to prevent me from hitting errant balls into neighboring buildings. Ever since my Anterior Cervical Discectomy and Fusion (neck fusion) surgery last August, I have had to be very careful with movement of my both my neck and my shoulders. Running was out of question for ten months and I had to go to physical therapy to get my shoulder moving again. 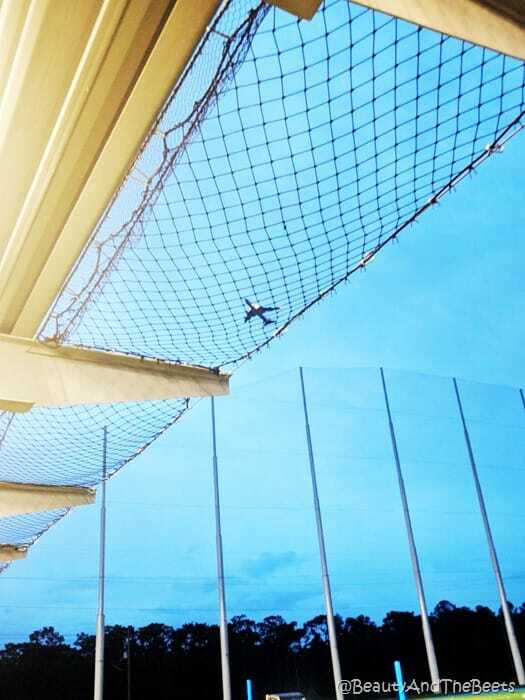 It’s been over a year since I was able to go out and whack a golf ball. Golfing is what brought Mr. Beet and I together in the first place 11 years ago, though he also does not get out and play as he would like. We have been in golf Siberia. 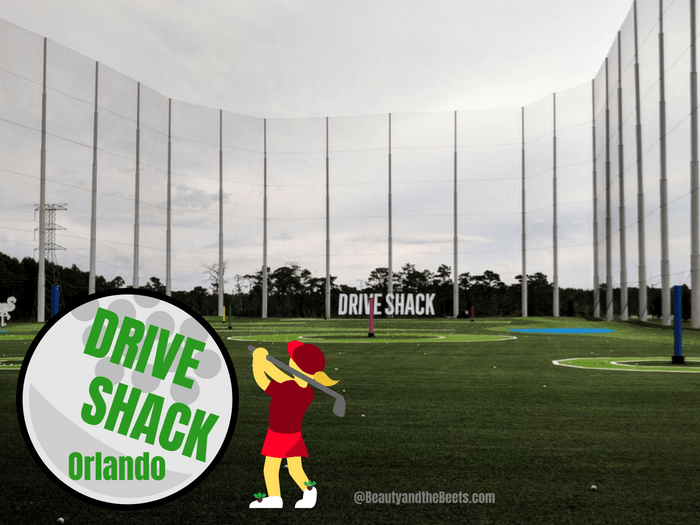 I received an invite to join some fellow media at Drive Shack Orlando in the Lake Nona neighborhood. 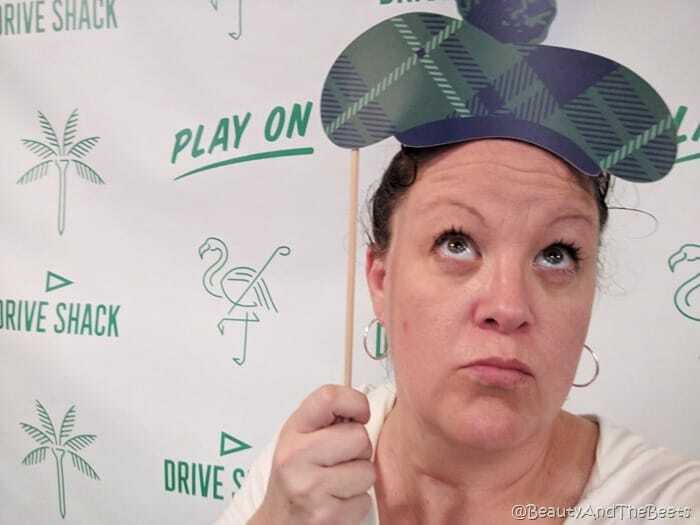 Drive Shack Orlando was throwing a party for the 38th anniversary release of the movie “Caddyshack”. Up until a few days ago, I have to admit, shamefully, I have seen “Caddyshack” one time, many many years ago. But Mr. Beet can recite every line, every word from the movie, as any good golfer should. 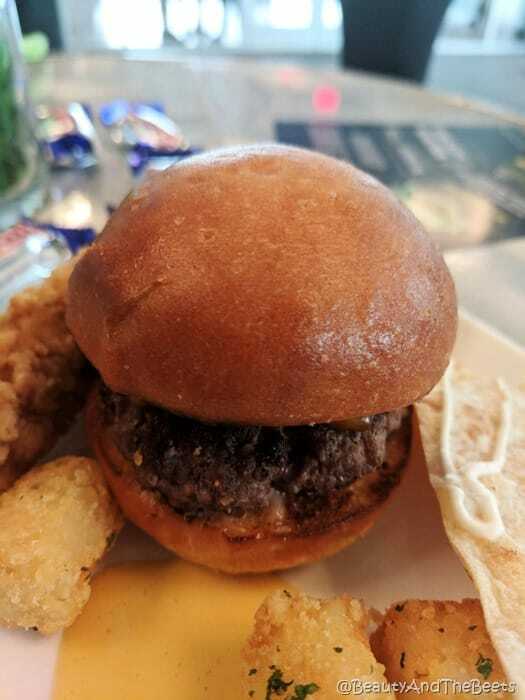 We arrived to a huge display of Happy Hour treats – Bavarian Pretzel Sticks, Cheese Quesadillas, and Classic Burger Sliders. 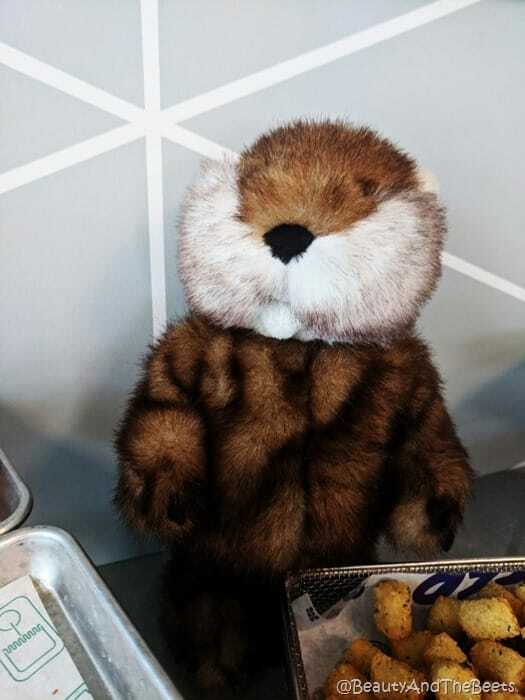 I loved the burgers with the secret sauce and dill pickle while Mr. Beet ate his fill of the pretzel sticks with pimento cheese. Happy Hour runs everyday (excluding Saturday only) from 4pm to closing time (11pm Sun-Thursday and 1am Friday-Saturdays). 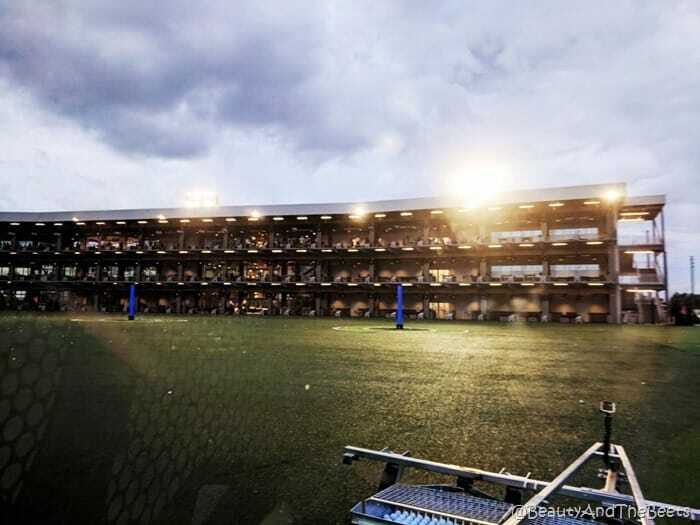 Next we were on to try out the ball hitting bays – if you think you have to be a professional to play in the any of the games, you are mistaken. Each bay offers four different games, plus a variety of virtual courses to chose from. 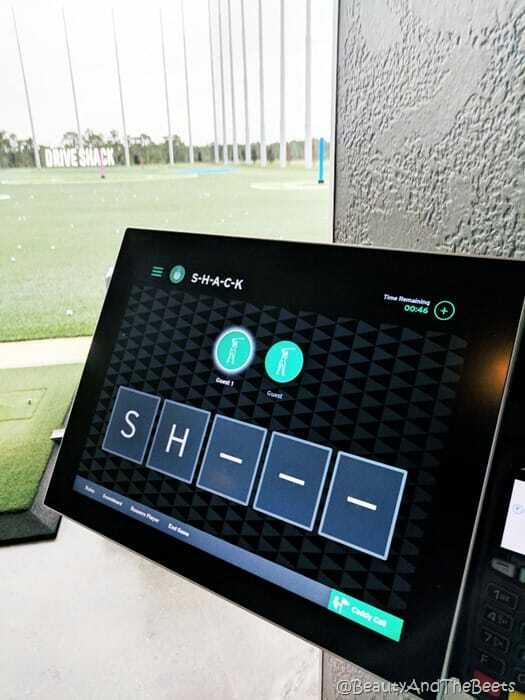 And if you want to just practice your swing, you can do that too and Drive Shack’s technology will keep track of your swing speed, ball speed, height, and distance. Mr. Beet and I engaged in a game of S-H-A-C-K. Similar to the basketball game H-O-R-S-E. Now, Mr. Beet is a very good golfer. He has professional golfer status actually. He can hit them hard, far, and high. During our game we were required to hit certain targets in order to avoid gaining a letter. I have to tell you, I almost beat him. I hit the closer targets more than him, but he had me beat in the far distance shots. After my almost victory, I joined Matt, the Bar Manager, in a Ballzoni ride. That’s right- the Ballzoni. 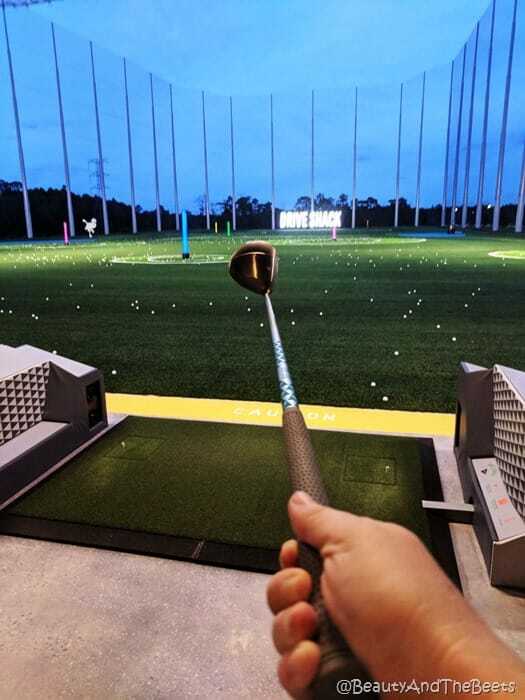 We ended the evening hitting some more balls. 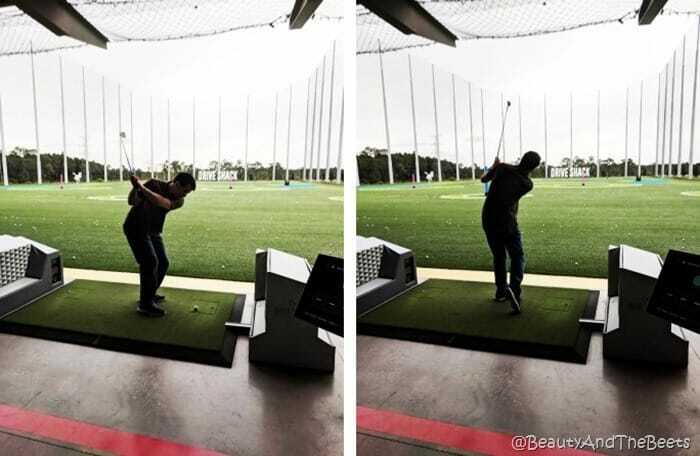 I was so happy that I was able to hit the ball well being that I had not picked up a club in over a year. We also took a self guided tour of the rest of the facility. Bays for ball hitting line along three stories. 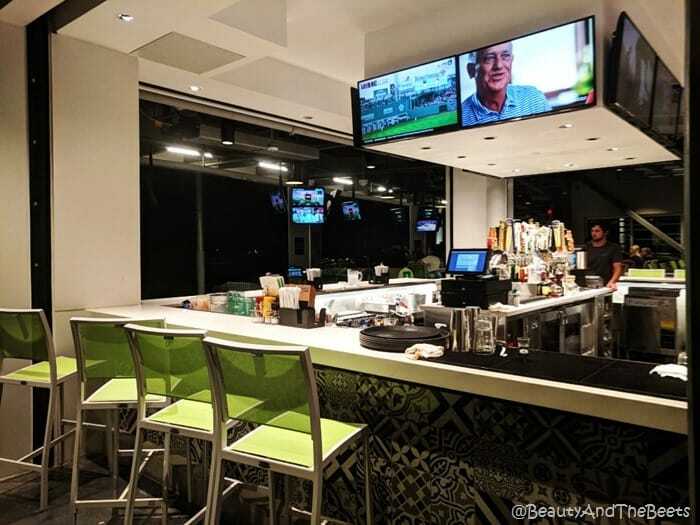 The first floor also houses a handful of conference rooms, the restaurant and game room are on the second floor, and a full service bar/ sitting patio can be found on the third floor. The game room is free, yes FREE. 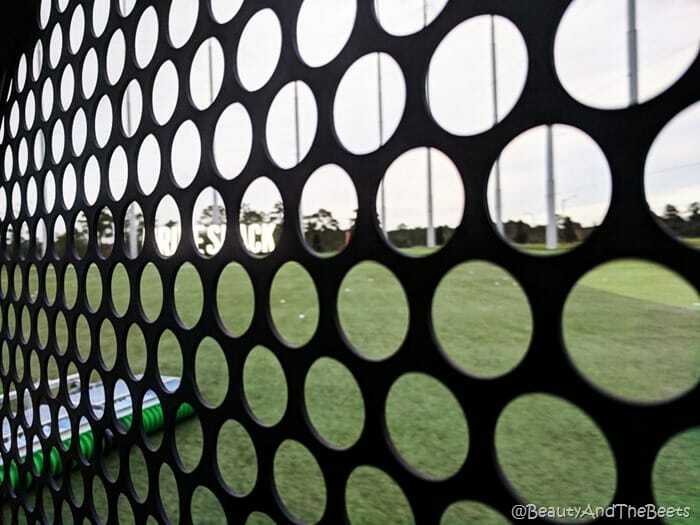 It’s a great place for the kids to hang out while you perfect your swing. 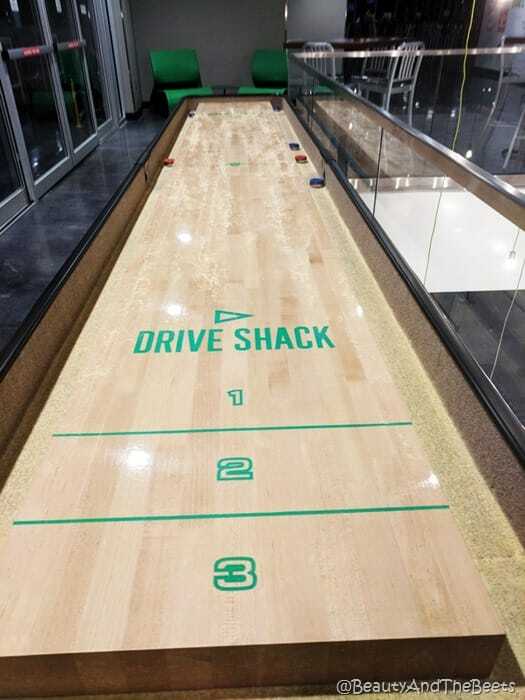 Skee Ball and Shuffle Board are among the fun. 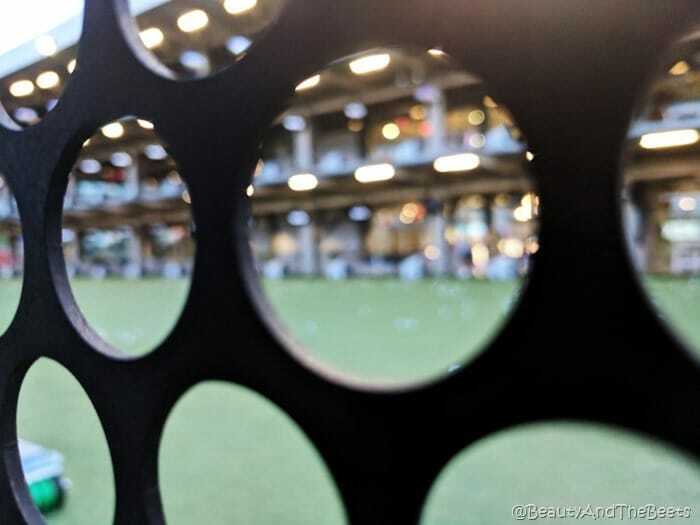 There are also plenty of specials available including Late Night Swings from 9pm until close Sunday through Thursday with discounted bayplay and Happy Hour prices on food and beverages. 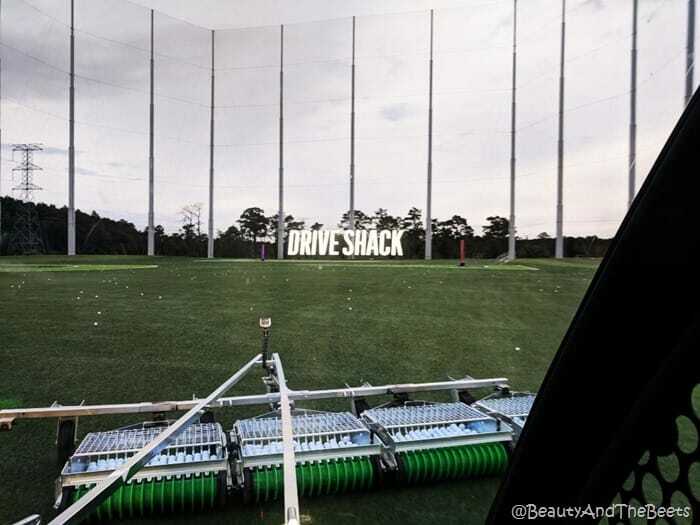 There is also live music on the weekends and a Drive Academy where you can perfect your swing and impress your friends. Prices for bayplay range from $30-50 an hour for up to six guests (plus a $5 membership fee for one member in the group is required). So the more people you bring, the lower the cost and the higher the fun threshold. 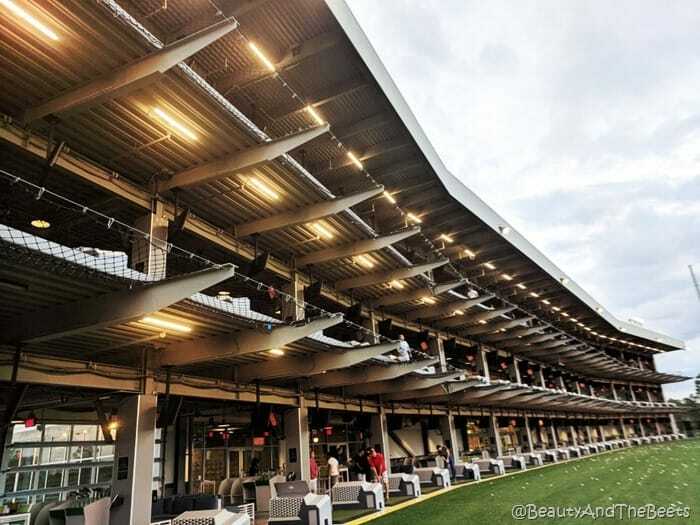 There are memberships available for unlimited play. 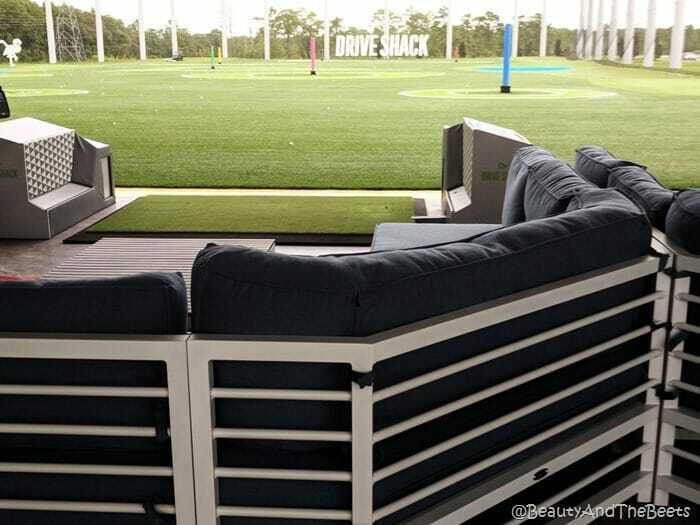 And no worries if you don’t own golf clubs, golf club rental at Drive Shack Orlando is included in each bay rental as well as an unlimited number of balls during the hour of play. Looks like a lot of fun even if one doesn’t play golf. Maybe fun for just watching people hit as well. Great job reviewing the facility. Thank you. Looking forward to getting a group together to go play! Nice place to play golf and hang out with family and friends. Thanks for sharing this.